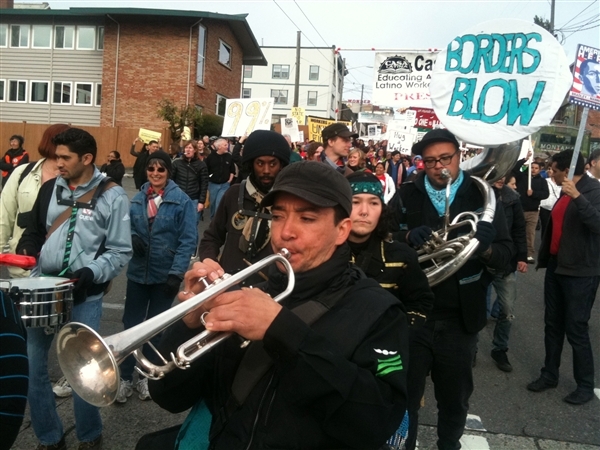 We had a great time playing at the Immigrants Rights March as p art of the May Day events this year. There’s an interesting article in an MSNBC blog that mentions Movitas. It’s also where this great photo comes from. Also, the stranger mentions us in their blog, but with no pic. Don’t miss us in Olympia! 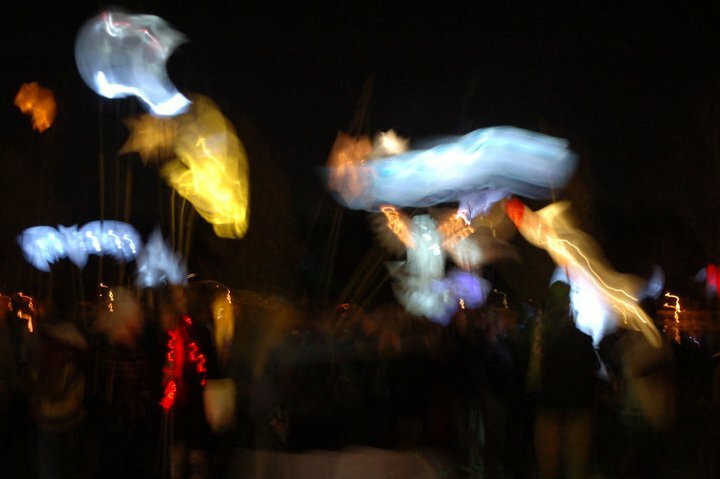 We’re gonna play for both the Luminary Procession on Friday April 27th and the Procession of Species on Saturday April 28th! 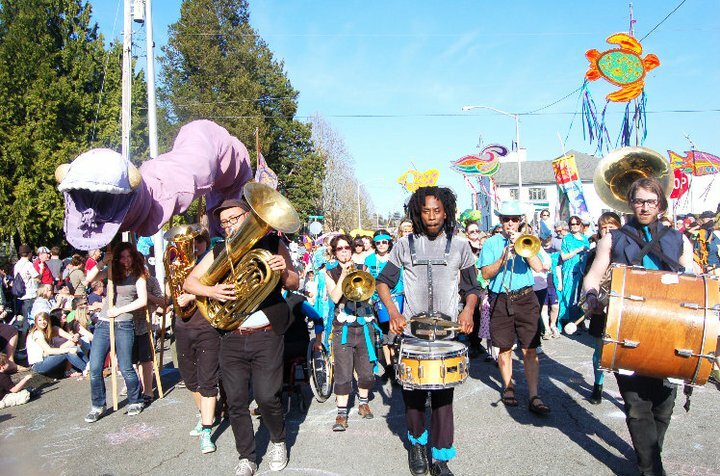 This FRIDAY, March 30th, at 5:30pm Movitas Marching Band will be performing at Westlake Center Park in Solidarity with Palestinian Land Day and the Boycott against Israeli made products sold at Nordstrom and Macy’s. Come join us & show your support! Lots of great things happening with Movitas this spring! First click on the Get Involved page to see how you can be a part of Movitas! Also, we have lots of great events coming up this spring. Check out the Calendar for all the upcoming shows.